Federal air marshals are being moved to the back of the plane -- some of them, at least. The undercover agents who are posted randomly to protect U.S. airliners are -- for the first time -- going to be assigned regularly to seats toward the back, sources briefed on the Transportation Security Administration’s plans told ABC News. Until now, the marshals were always assigned seats toward the front of the planes. 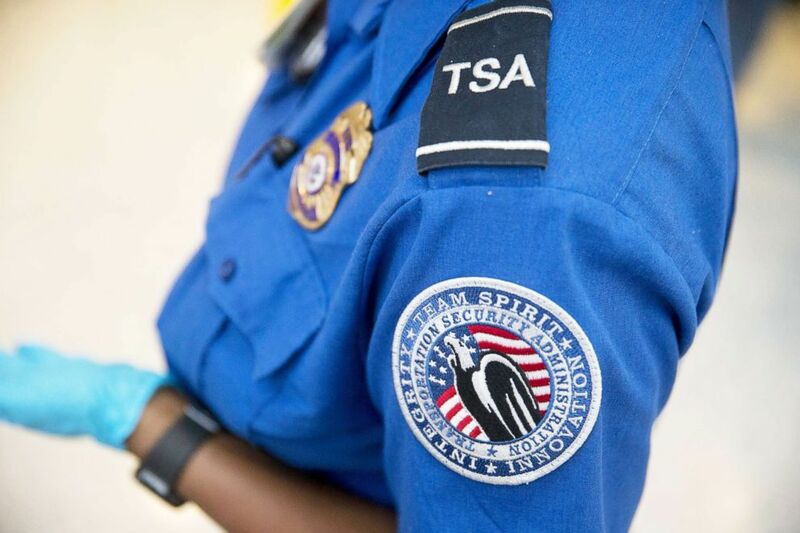 Officials at the TSA, which controls the Federal Air Marshal Service, declined to discuss specifics, citing policies that require operational details to be kept secret. They insisted that it’s important for the agency to sometimes change its routine to keep pace with new and emerging threats. (Andrew Harrer/Bloomberg via Getty Images FILE) A Transportation Security Administration officer stands in the pre-check area at Dulles International Airport in Dulles, Va., Aug. 19, 2015. And they believe that positioning marshals throughout the cabin could allow agents to keep a closer eye on passengers who might pose a risk -- before any type of attack could begin. 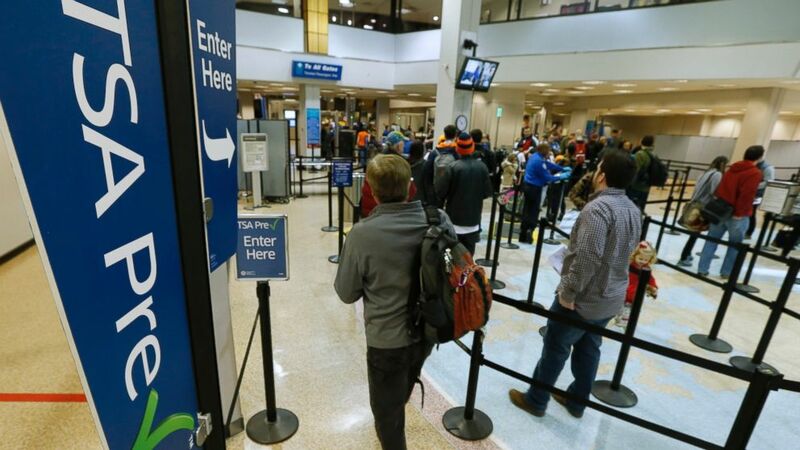 (George Frey/Bloomberg via Getty Images) A passenger enters the Transportation Security Administration (TSA) pre-check line towards a security check point at Salt Lake City International Airport in Salt Lake City, on Dec. 23, 2014. 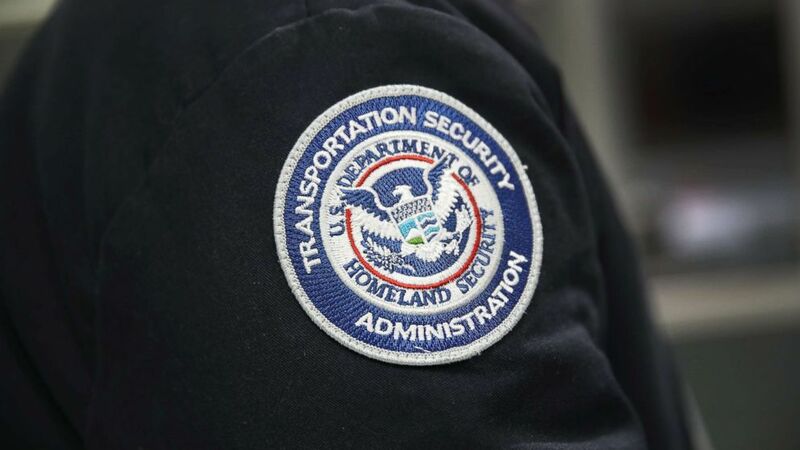 Burke added: “TSA continues to enhance its ability to utilize intelligence in order to best deploy FAMs worldwide to detect, deter and defeat any potential hostile acts onboard commercial U.S. aircraft." The marshals, deployed on a fraction of flights worldwide, have historically been assigned seats close to the front of airplanes because their core mission is to protect a cockpit from intruders. That mandate took on new significance in the wake of the Sept. 11, 2001, attacks, which saw terrorists breach flight decks to commandeer planes and fly them into New York City’s Twin Towers, the Pentagon and into a field in Shanksville, Pennsylvania. Even though cockpit doors have been reinforced and locked since 9/11, marshals have been viewed as an added layer of security and could repel a possible intruder. By moving the undercover agents back into the entire passenger cabin, some believe the marshals’ ability to their jobs could be compromised. When asked by ABC News about the specific changes, Borek, citing secrecy requirements, said he could not provide details. Borek added: “Changing deployment methodologies and the manner in which we conduct business is absolutely unnecessary and does not pass the common-sense test -- especially during the busiest travel season of the year." "The men and women who perform these vital worldwide national security missions do not support and vehemently disagree with the proposed changes,” he said. Sara Nelson, international president of the Association of Flight Attendants, said TSA's leadership should consider concerns voiced by the air marshals. "Air marshals are an integral part of aviation security and we hold our partnership in the highest regard,” Nelson told ABC News. “We agree wholeheartedly with TSA that there should be a constant review and appropriate response to emerging threats, with the inclusion of any concerns expressed by our air marshals. "They are our tactical experts and their voices should be included in determining the most effective security measures," she added. Observers who monitor TSA and its parent agency, the Department of Homeland Security, told ABC News that frontline officers are worried that senior officials have not considered the consequences of moving marshals away from the front of aircraft. They fear marshals assigned to the rear of planes could wind up blocked in crowded rows or have trouble getting out of seats and up narrow aisles in emergencies. They say marshals need to be free to race toward the cockpit in the event of an attempted breach. Also, they take issue with the way the changes were planned and announced, without input from the marshals themselves. Officials briefed on the move said the changes do not represent a retreat from the agency’s mission of protecting the flight deck. They insist that monitoring passengers and conduct throughout a plane is, in fact, a good way to protect cockpits. John Cohen, a former acting undersecretary of the Department of Homeland Security, said it appears that DHS and TSA are making important decisions arbitrarily. “Security decisions involving the deployment of operational personnel should be made only after a careful evaluation of threat-related intelligence and other operational objectives,” said Cohen, now an ABC News contributor. “Changing how federal air marshals are positioned on an aircraft may become necessary. But these changes are only prudent if they are made based on an accurate and objective understanding of the threat. "Changes to security routines on planes and at airports are serious and should not be enacted haphazardly," he continued. "And there is clearly a perception that is what is going on here." A small, little-known law enforcement agency, the Federal Air Marshals Service has been at the center of a major controversy in recent months. The Boston Globe reported earlier this year that the TSA in March dramatically expanded its “Quiet Skies” program, requiring air marshals to monitor, track and note the behavior of unwitting travelers not suspected of criminal activity or terrorist connections. Just last week, the TSA told The Globe that the program had been curtailed in the face of backlash and a series of investigations by Congress and government watchdog agencies.